Scene at federal wildlife refuge earlier this year. 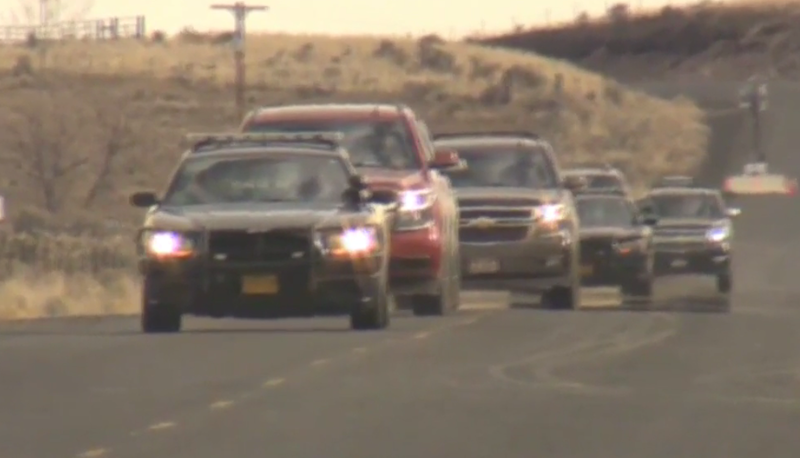 The FBI and Oregon State Police are the targets of a potential lawsuit over the shooting of a rancher during a standoff at an Oregon wildlife refuge. The widow of Robert “Lavoy” Finicum said she plans to sue the state police and two FBI agents over the shooting near the Malheur National Wildlife Refuge. Finicum, 54, acted as the spokesman for the anti-government protesters who occupied the refuge to protest charges filed against local ranchers. Brian Claypool, an attorney for the widow, Jeanette Finicum, said he was motivated to file the suit after new evidence emerged in the case, including what appears to be shell casings from the FBI, which had denied pulling the trigger. Posted: 8/29/16 at 8:59 AM under News Story.